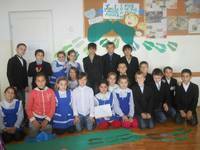 In Romania there were over 600 pupils from two schools in Tecuci participating this year. They sent us many pictures and a very nice report about their activities. Together they collected enough Green Footprints to travel the distance from Romania to the UN Climate Conference in Durban! We are very happy today. 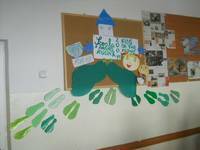 At school we had the reports of every group and our students results are the following: during 24th of October - 10th of November we collected 3934 green footprints. 341 students participated with their 13 teachers and they all succeeded in convincing other 603 people - students, parents, brothers... to participate." 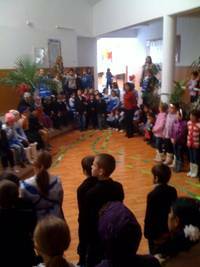 They participated with 300 children (from kindergarden and from primary school). Their number of footprints is 6100.